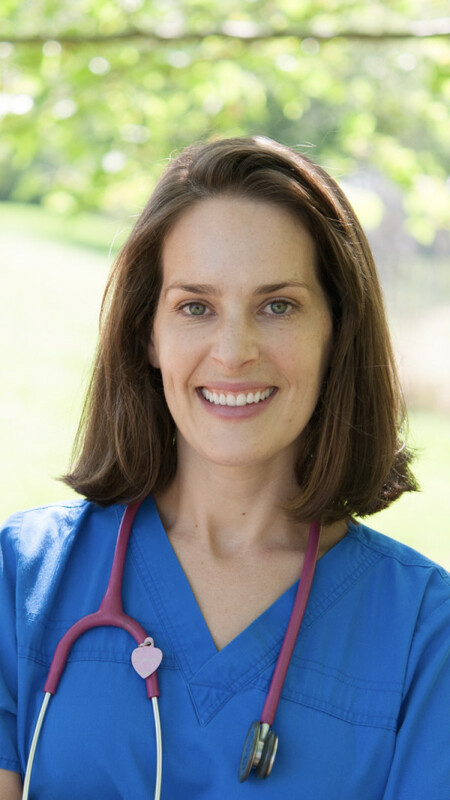 We could not have been more pleased when Dr. Roach reached out to us to tell us about how she discovered Dr. Harvey’s and how it had helped her dog, Muttley. 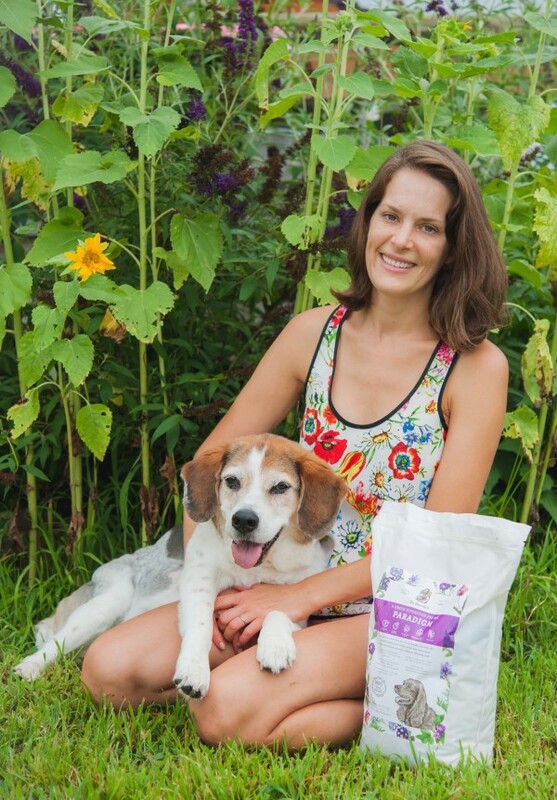 She wanted to share her personal journey with other pet parents in hopes that her experience could help others to find nutritional solutions for their dogs. Here is her story in her own words. Dr. Harvey’s Paradigm has truly changed my dog’s quality of life. I diagnosed my oldest dog, Muttley, with cognitive dysfunction syndrome (the dog version of dementia), along with other health ailments. Although Paradigm has tremendously improved his other medical conditions, such as alleviating his arthritis, increasing his energy level and helping his ability to lose weight, my focus in this post will be his mental health. Unfortunately, with cognitive disorders, concurrent anxiety-related conditions are common. Muttley’s anxiety had become so severe that I tried every pharmaceutical medication that I thought would help, but there were no significant signs of improvement. Being a veterinarian, I felt hopeless not being able to help my own dog. Then I discovered Dr. Harvey’s Paradigm. Could Diet Make a Difference? Let me back up to why I went searching for a diet like Paradigm in the first place. My husband and I decided to try a ketogenic diet for our overall health, and more specifically, to increase my energy level. After three weeks of strictly sticking to this diet, my energy level was truly remarkable. I was also amazed at all the other health benefits that came with following a ketogenic diet. Being on this diet paralleled with my attempts at finding Muttley relief from his anxiety. 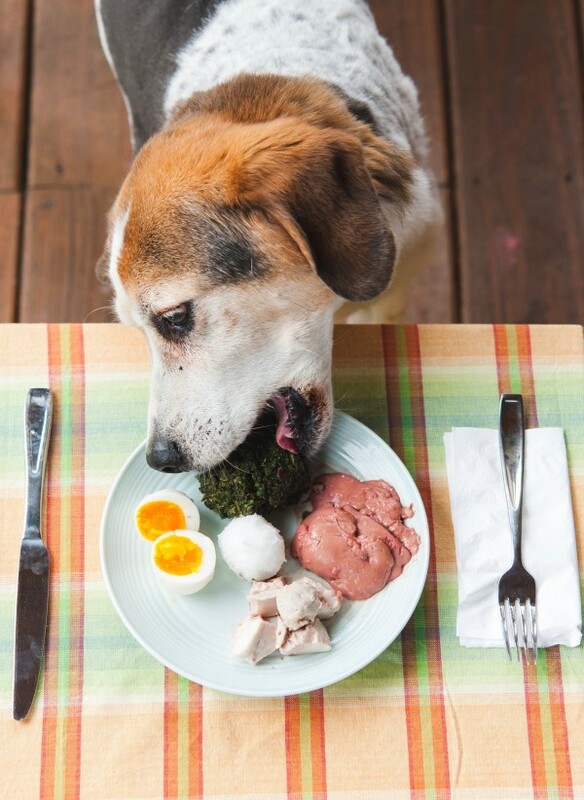 I began to wonder what benefits Muttley could experience being on a similar diet. 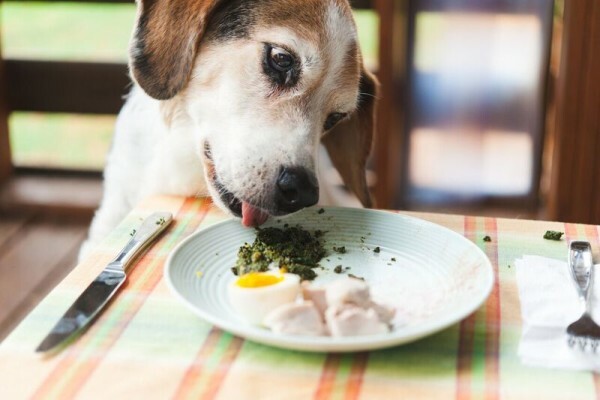 As I researched ketogenic diets for dogs, I came across several that required me to make the entire meal from scratch. Being a mother of two toddlers, I knew that was not a realistic option. I then came across Dr. Harvey’s website, and Paradigm was exactly what I was looking for! I felt confident it was at least worth a try, and I ordered a bag. At this point, Muttley was riddled with anxiety. He was having severe anxiety attacks daily. During the day, I would have to keep Muttley right by my side or he would go outside and pace. When he did lay down, he would lick his dog bed obsessively. At night, he would not leave my side until I went to bed, and even then, he couldn’t sleep throughout the night. I would wake up to him staring at me, panting heavily, and trembling. My bag of food arrived and after only two days, Muttley slept throughout the night. Prior to Paradigm, he had not slept throughout the night for as long as I could remember. As I continued feeding him Paradigm, he stopped having his daily anxiety attacks. He would relax on his bed during the day instead of trying to pace outside. He no longer licked his bed. He will occasionally follow me around at night when I’m doing my nightly chores, but if I bring his dog bed and place it so he can see me, he will lay on it and fall asleep. Most incredibly, however, I have also weaned him off all his medications! It has been six months since I started Paradigm and he has yet to have any relapses or set-backs. Since then, Dr. Harvey’s was kind enough to send me their other lines of food (Canine Health, Veg-to-Bowl, Veg-To-Bowl Fine Ground and Oracle Grain-Free), treats, and a variety of their supplements. My five dogs happily agree to participating in the food trials!